Master ATC phraseology and in-flight radio on your iPhone with PocketATC, without even leaving the ground. Learn about this new app's technology, features, and content. Mastering radio skills can be one of the most frustrating parts of learning to fly, not to mention one of the most expensive. The soaring cost of flight time makes relying on haphazard experience for skill building a pricy proposition; if you're only flying in a limited geographical area or on a less than daily basis, it can take hundreds of hours in the cockpit to master radio procedures. 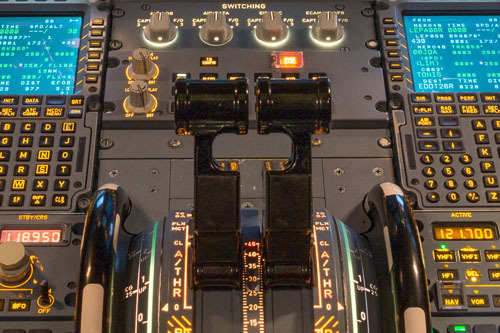 If you're like most pilots, you've probably asked yourself, "Isn't there a better way?" Enter PocketATC, a new iPhone app that uses proven language-learning technology to unravel ATC phraseology so that the control tower is no longer a Tower of Babel. Explore this website to learn how you can save time and money by mastering in-flight radio without leaving the ground. Then fast-track your own path to confidence and proficiency by heading over to the App Store to purchase the app. Understanding radio communications is an old-school analog problem. PocketATC is the brand-new digital solution student pilots have been waiting for. Learn about PocketATC's language learning technology and its benefits. Browse the the airports, frequencies, and types of flights included in PocketATC. Explore how PocketATC's features and functionality provide a shortcut to proficiency. Find out more about the latest in the development of PocketATC and its technology.